While in transit between Iaşi, Romania and Zagreb, Croatia we found ourselves in the Vienna Airport. We had just finished judging at the International Wine Competition Bucharest. 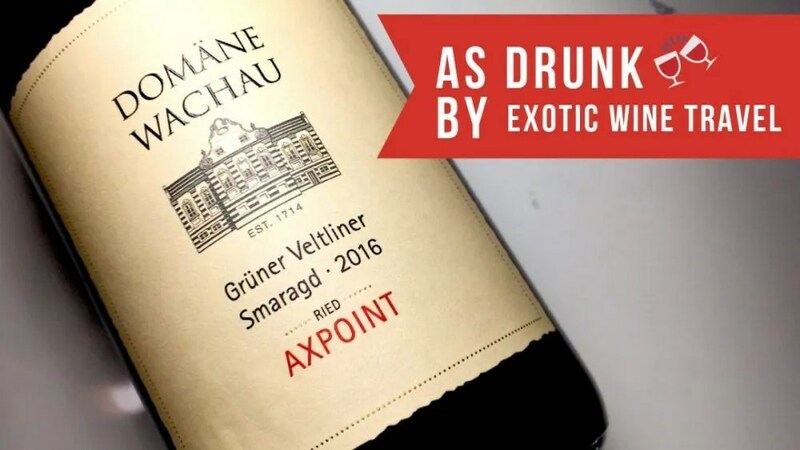 After tasting a number of interesting wines from both emerging and well-known wine regions, Charine wanted a classy well constructed Austrian wine. When in Austria, the choice should be easy. Grüner Veltliner is the country’s flagship grape and most widely planted in the country. We’ve tasted several delicious Austrian Grüners throughout the years but it’s an example from Santa Barbara County that left a lasting impression on us. Ever since tasting that wine, Charine has been craving another Grüner Veltliner with both ripe fruit and long lees contact (see below). Surprisingly, there were not many high-quality Grüner Veltliners on offer at the airport. After scouring the shelves, we came across some single vineyard Rieslings and Grüners from Domäne Wachau. Domäne Wachau is a cooperative winery that controls about 30% of all the vineyard area in Wachau. They release a wide range of wines including several single vineyard Riesling and Grüner Veltliner bottlings. We love to support cooperatives and opted to purchase the Domäne Wachau Grüner Veltliner Smaragd 2016 Axpoint. The Axpoint vineyard is right above the town of Spitz and is south facing. The word Smaragd is the highest quality designation within the Wachau region. Put that all together and we figured it was a wine that shouldn’t disappoint. 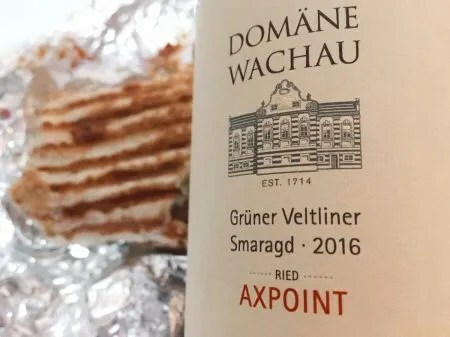 The Domäne Wachau Grüner Veltliner Smaragd 2016 Axpoint hits your nose immediately with white pepper, grass, lime, and yogurt notes. It’s very flinty on the palate with bright acidity. The first thing that jumped to my mind when drinking this wine is how I’d love to know it after at least five more years in the bottle. A longer finish would push this into greater levels but it’s still delicious to drink. Dangerously easy to finish, we polished off the bottle in no time.